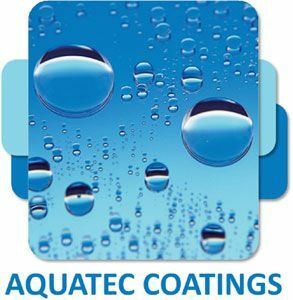 Introducing the latest product from AquaTec Coatings, ShieldTec Epox-600 One Pack Anti-Corrosive Gloss Epoxy Coating. ShieldTec Epox-600 is a unique one pack anti-corrosive, direct to metal epoxy gloss coating specifically formulated for applications where an extremely durable and decorative finish is required. 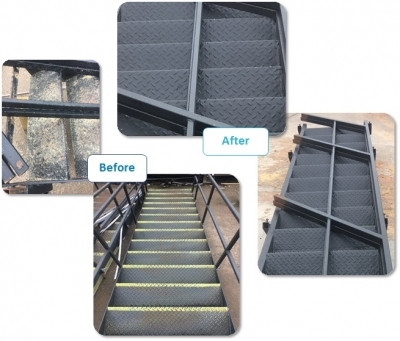 This coating has excellent adhesion to rusty, hard to prepare metal substrates and can be easily applied by brush, roller or spray in one coat to provide a glossy rust-free finish making it ideal for the refurbishment of staircases and waste tanks. ShieldTec Epox-600’s combination of superior long term anti-corrosive properties and wear resistance reduce the need for repainting and keep maintenance to a minimum giving you the confidence of a lasting impressive finish and protection for substrates. For further details please contact AquaTec Coatings on 01978 661711 or email sales@aquatecpaint.co.uk.